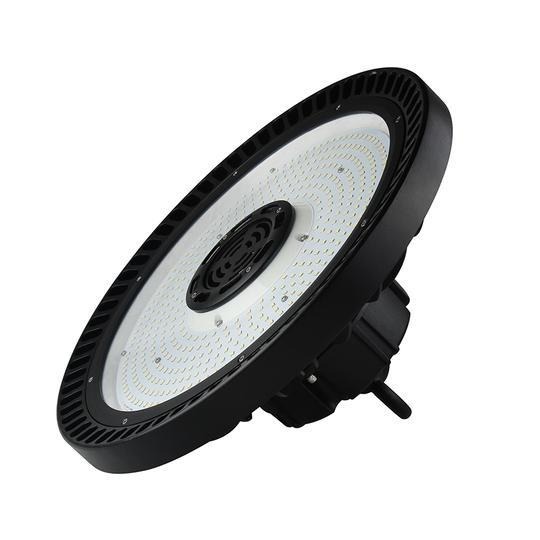 Why choosing 150W LED UFO High Bay Lights are ideal solution for your business? 1. The sleek and thin designed 150w LED UFO Lights feature the most advanced SMD 3030 LED modules for high performance. 2. You can replace this 150 watts high way light with the existing 400 watts MH light to make more savings. 3. The lumen output of these 150w LED UFO Lights is 20098 lumens with Color Temperature of 5700K. 4. The light rays emitted by these UFO lights provide maximum brightness with soothing affect to your eyes. 5. The beam angle of more than 80 Degree allows you to cover the entire bigger and larger area as well. 6. Also the IP65 Waterproof rating of these lights make them ideal it to be used in various different climatic conditions as well. 7. Also the DLC certification of these lights allows you to take rebates from the power companies which will reduce the overall cost as well. So use these 150w LED UFO Lights as an ideal replacement to the existing and traditional lights that is just a mere wastage of time and money only but by shifting to these energy efficient lights, you can make great savings that will help in expanding your business.